UNSTRANDED: Eman Ali, 12, and her father Ahmed, sat before media at San Francisco International Airport on Super Bowl Sunday. They are among the first to travel to America after the travel restrictions from seven predominantly Muslim nations were lifted on Friday. Ahmed Ali is a Yemeni American, but Eman holds a Yemeni passport and was blocked from boarding her flight from Djibouti once the travel ban was in effect Jan. 27. Read the update here. On Friday night after a federal judge’s order, it was like a steel door had been kicked open, or an imaginary wall torn down. 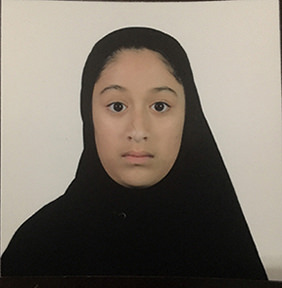 At that moment, she looked nothing like the frightened girl in the hijab on her Yemeni passport photo, according to her father, Ahmed Ali. She was happy, and so was he. “We got good news today, we’re flying back today,” said Ali, 38, a Yemeni American who had been frustrated and stranded in Djibouti since Jan. 27, the first day of the travel ban. When we spoke by phone, he didn’t know anything about what was going on in the U.S. and how a new temporary restraining order from federal district judge James Robart in Seattle had just halted the ban nationwide. All he knew was what his lawyers, Katy Lewis and Stacey Gartland, told him before I called. He and his daughter, Eman, would be coming home. “I’m really excited, really happy about it, and I hope everything will go nice and smooth,” he told me. But fluid situations aren’t always so smooth, especially in these Trump times. For a week since the travel ban, Ali and Eman found themselves like many other Yemenis– stuck in Djibouti, the tiny North African country wedged between Ethiopia and Eritrea to the north, and Somalia to the south. It all looked better than going back across the gulf to war-torn Yemen. Staying put seemed to be the safest way to wait out the ban. It was just another glitch in a journey of glitches. All their lives, Eman and her family had dutifully followed the law. Her father, a convenience store manager in California’s Central Valley, and her mother and siblings are all U.S. citizens. But Eman was born in Yemen during a family visit and held a Yemeni passport. All those years, she stayed behind with relatives as her parents struggled to get her a visa to travel to the U.S. The process was made even more maddening by the war in Yemen and the closure of the U.S. Embassy there. Finally, after seven years, a visa was obtained. Ali travelled to accompany his daughter to America last month. On that fateful Jan. 27, with tickets in hand, they were ready to board an Ethiopian Airlines flight that would take them to the U.S. He told me he thought the ban was racist to Muslims and to Yemenis. And that the ban would have the exact opposite effect on law-abiding Muslims. All of them were turned away, rejected because of the executive order. And then on Friday, it was like none of that bureaucratic mumbo-jumbo had ever existed. All it took was the signature of Judge Robart, not a “so-called judge,” as Trump tweeted, but an actual U.S. District Judge in Seattle, an appointee of George W. Bush. Judge Robart adhered to his duty to uphold the Constitution and granted Washington State Attorney General Bob Ferguson’s request for a temporary restraining order, halting Trump’s executive order barring citizens from seven Muslim-majority nations. It was just the latest twist. Hours before, another judge in Boston, U.S. District Judge Nathaniel Gorton, had disappointed many when he cited “the public interest in safety and security” and refused to extend a seven-day ban on Trump’s executive order. But lawyers I talked to said Gorton’s decision only applied to arrivals at Boston’s Logan Airport. There would be other legal irons in the fire to challenge the order, and then shortly thereafter came Robart’s TRO. The Seattle judge effectively stood up to the bully, nullifying Trump’s travel ban, and it applied nationwide. But it seemed more like magic for 12-year old Eman. 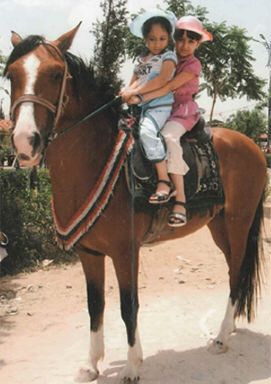 Her immigration journey began when she was an even younger girl, sitting in front of her older sister atop a horse in Yemen. Robart’s order practically turned that horse into Pegasus. Finally, she would be flying to America. But again, it’s becoming clear that nothing in the Trump age comes without a fight. In the meantime, the Customs and Border Protection (CBP) agency had already begun making sure the window stayed open for travel. Several groups, such as the Council on American-Islamic Relations, began urging “immediate” rebooking of flights. But as the hours went on from Friday through Saturday, Gartland told me the journey had not been without incident, with constant communication among government officials, airline personnel, and credit card companies. “Super stressful Kafka-esque nightmare,” Gartland told me in an email, as Ali and Eman continued their 23-hour-long flight to freedom. Still, there was much optimism that they would be among the first of the once-banned to find their way to America. And when they land, it will mark the end of an incredible journey of nearly 9,000 miles, a triumph of law and the Constitution over the whim of an overreaching Trump. A true victory, their arrival–as well as that of others previously banned–will serve as an example of the relentless immigrant spirit that truly makes America great. And all of it quite fitting enough to upstage a Super Bowl Sunday.